Posted: December 22, 2015 in Obscurities, Rodways Repco Recollections, Who,What,Where & When...? Nestled in the back is Repco’s latest ‘RB740’ 275bhp 2.5 litre V8, the Tasman variant of Brabham’s successful 1967 F1 3 litre (330bhp) engine. 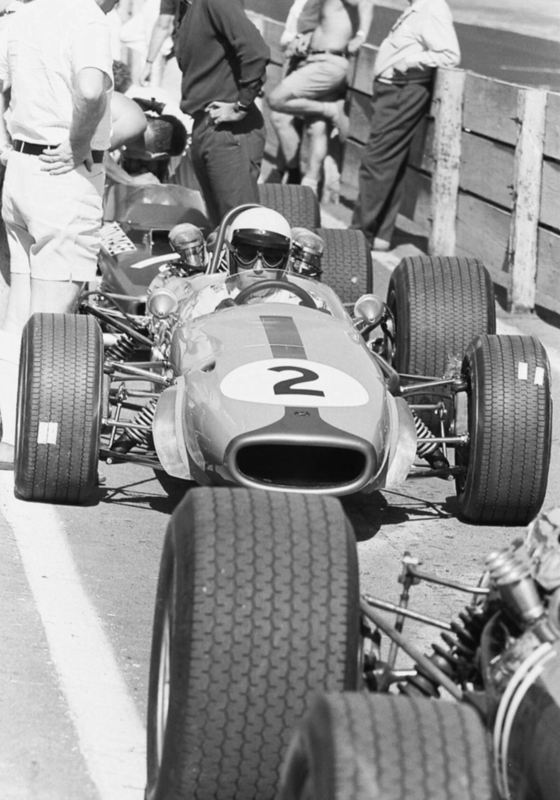 Denny Hulme took the drivers title from Jack in a BT24, with Brabham Repco taking the constructors championship for the second year on the trot. 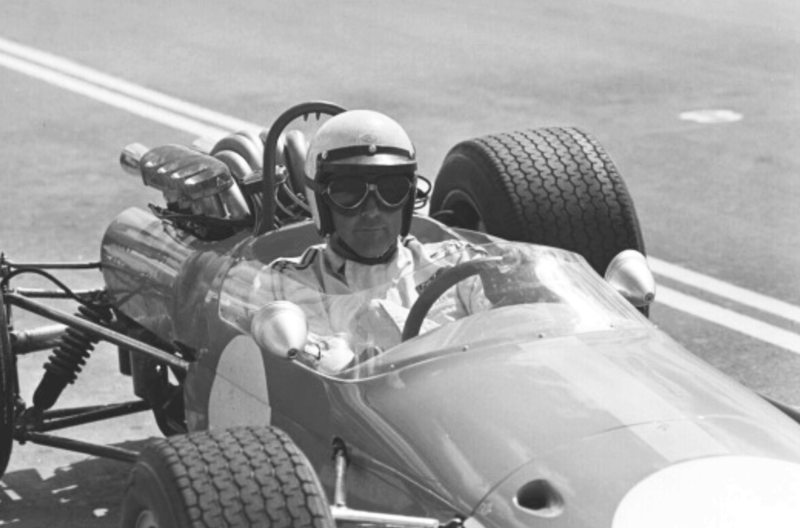 Jack raced the car only at Warwick Farm and Sandown in a very limited ’68 Tasman campaign. The car stayed in Australia, purchased by Bob Jane it was raced by John Harvey, John lucky to survive a huge accident at Bathurst in his first drive of the car after a rear upright failure. Eventually converted to an F2 car with a Ford twin-cam engine the car was restored in the early-eighties and soon after sold overseas. 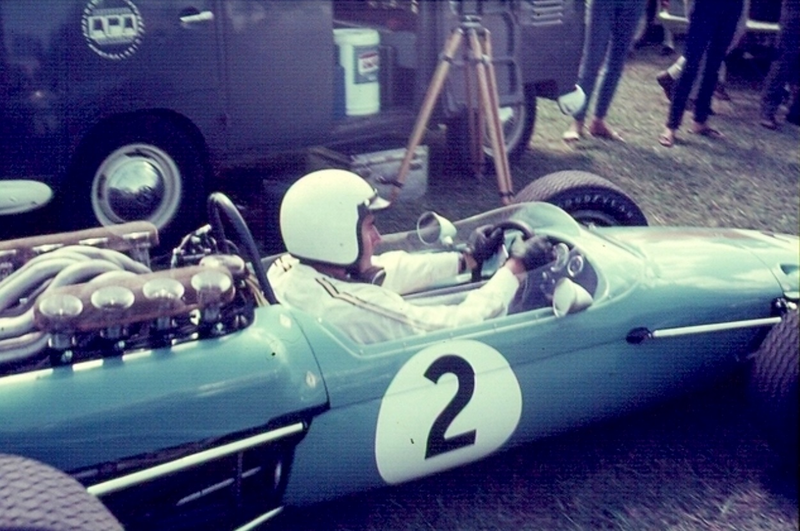 Brabham in BT23E in the Warwick Farm pitlane several days after the cars Oran Park debut. The car in front of Jack’s is Pedro Rodriguez’ BRM P261, behind him is the nose of Piers Courage’s McLaren M4A Ford FVA F2 car, third in the race. 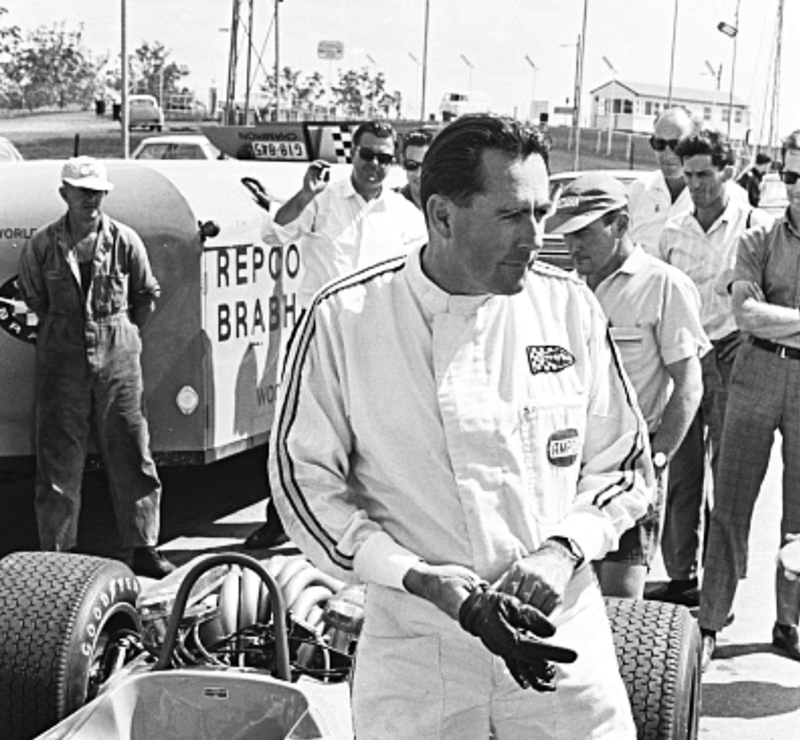 Jack was 7th in the ‘Warwick Farm 100’ on 18 February, Jim Clark ran away with the race from teammate Graham Hill’s identical Lotus 49 Ford DFW.